Update 2: We aren’t sure what to think anymore, hah. Let’s just hope we see something tomorrow or Thursday from Verizon, like say, an announcement. 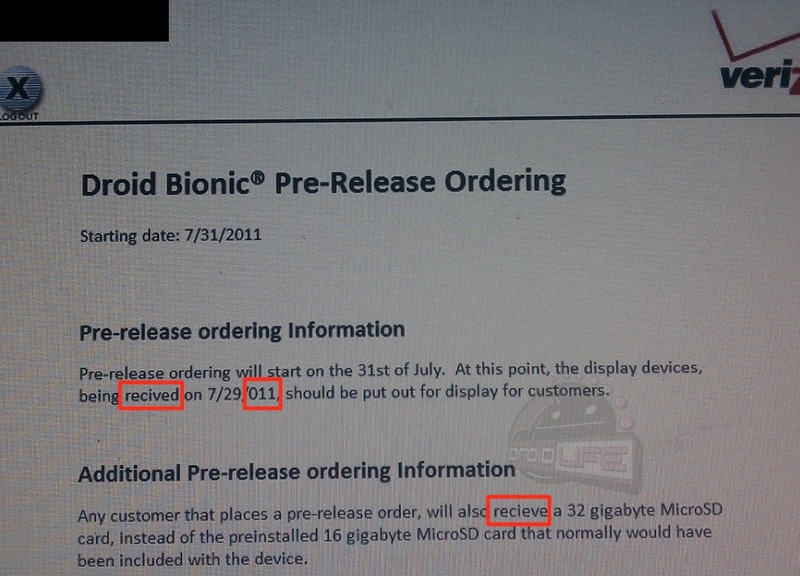 Update: So I just received another screenshot that had to do with pre-orders starting on 7/31, but the misspellings in it have me questioning it even more now. The word received was spelled “recived” and “recieve” leading me to believe these aren’t real. Like we said below though, you were supposed to question them just as we were – let’s all move on now. You can check out the screenshot here if you are interested in seeing it. And hey, if these are real, then I apologize to the corporate wireless PR department who clearly can’t spell. 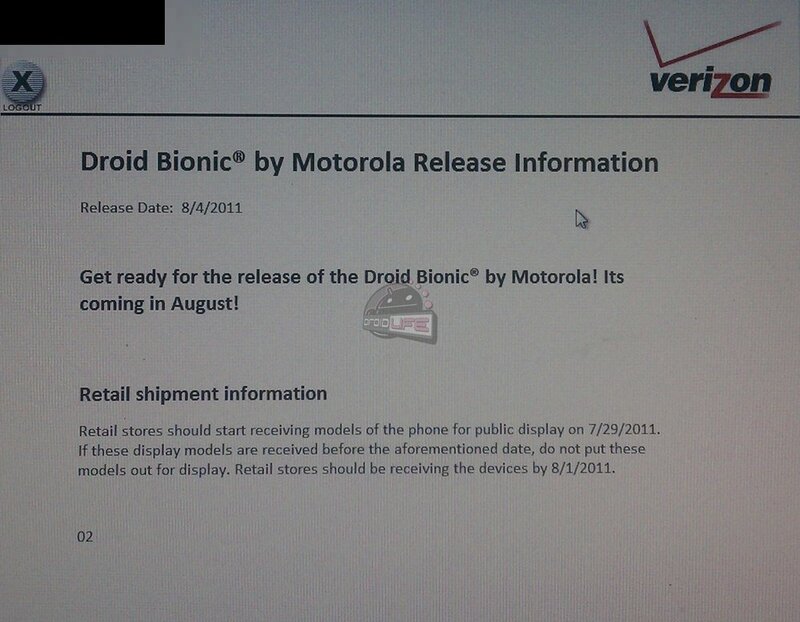 We have seen this date (August 4) pop up more than any other surrounding the DROID Bionic, so are we ready to accept it yet? Well, we aren’t sure still. According to indirect retailers for Verizon, the device could be arriving in display form on 7/29 (this Friday) with actual stock of the phone showing up on 8/1 before Thursday’s launch. Maybe we’ll have display units to fill up this “Coming Soon!” spot? It should be noted that indirect retailers some times receive information that is subject to change, so before we get too excited, lets hold off and see if these dummy units or stock actually show up this weekend. After all, look at Sam’s Club who was all over this 8/4 date at one point and is now not expecting to see it until September. We also almost would have expected a pre-order period of some sort for a device this big and this isn’t necessarily leaving room for one. Unless of course the phone gets announced tomorrow and the pre-order goes live Thursday night? And of course there will be questions surrounding the validity of this document. Let me just say that you should feel free to question it. As someone who sees a lot of VZW info, I’ve not seen any “indirect” documents that look like this, so there isn’t much to compare it to. It should say it’s instead of its and the registered trademark is something I’ve never seen used with a DROID device – you decide. Lots of question marks and coulds in there. Just passing on info to help feed your Bionic addiction. Verizon Will Get the Samsung Galaxy S II Before All Other U.S. Carriers?